The annual Regatta was part of the legacy of the Race2theGames that took place in 2014. 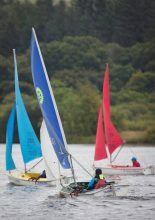 The annual Scottish Multi-Class Regatta took place on Sunday 30th September 2018 at Castle Semple Visitor Centre, Scotland’s best RYA Centre of Excellence for Disability Sailing. There were plenty of local competitors as well as some for further afield who had travelled especially for the event. There were 4 races, the Hansa 303 race, the traveller Hansa 303 for 2018, the 2.3 race and the Challenger race. The winner of the Hansa 303 for 2018 was 16 yr old Rory McKinna fresh from success at the Para World Sailing Championships last month where he qualified for the Hansa 303 Gold Fleet. There was plenty of support for the sailors with members of their disability organisations, friends and family and members of the public looking on. The conditions on the day were quite challenging with gusting winds which made for some unpredictable racing. Competitiors had to react quickly. This is one of the legacy events from Race2thegames, a 2014 pre-commonwealth games warm up event where local schools and disability competed in a huge race from James Watt Dock in Greenock all the way up the River Clyde to the Glasgow Science Centre. 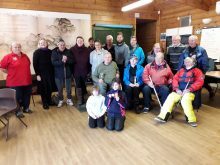 The Regatta wasn’t the only sailing on the Loch last Sunday as training alongside were the Special Olympics GB Sailing Team. The 6 strong team is made up exclusively of Castle Semple trained sailors as they get ready for Abu Dhabi 2019 World Games! We wish them and Senior Instructor David Hill the best of luck.